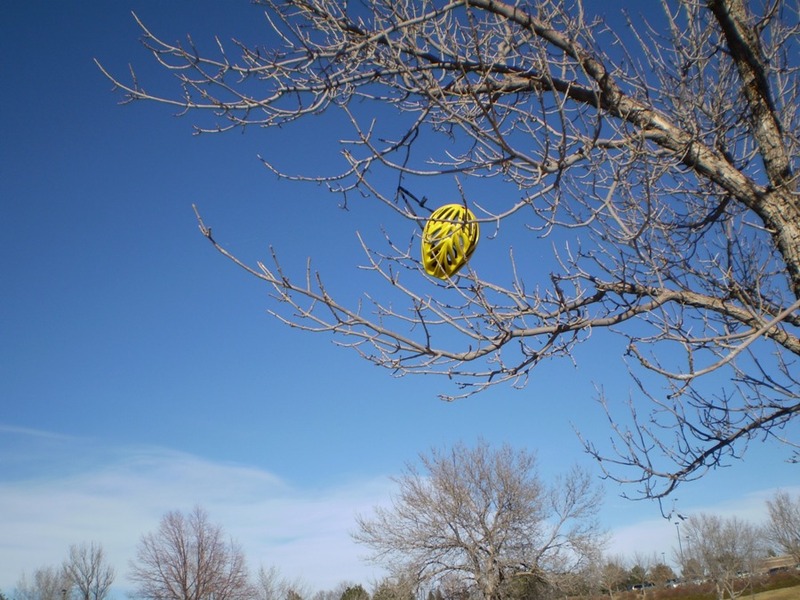 The wind was gusting at least 50 mph while on my jaunt–strong enough to take this bike helmet flying! At least it was caught on a tree branch and did not land on my head! I was going to cut my walk in half because of the wind, but completed the full route instead. 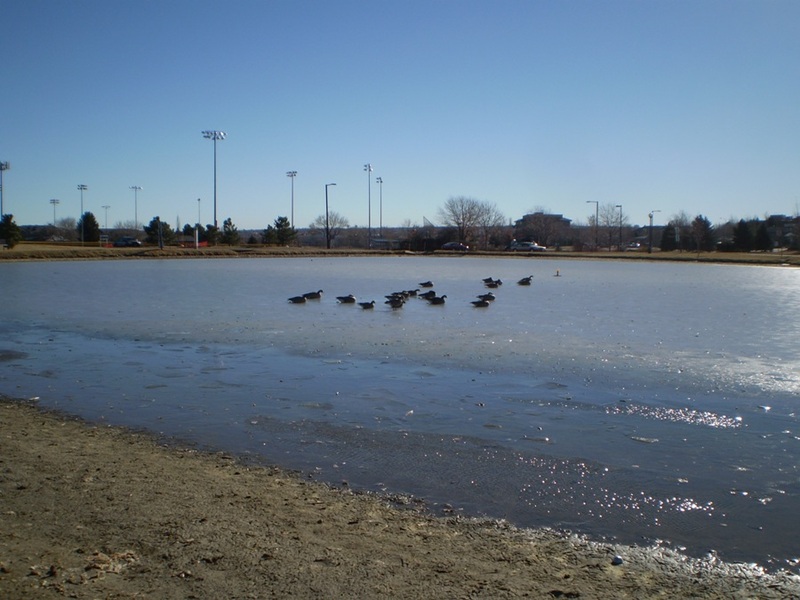 And, of course, my trek took me past the duck pond, which has been frozen solid for at least a week. –while I am hoping that we will get some measurable snow! 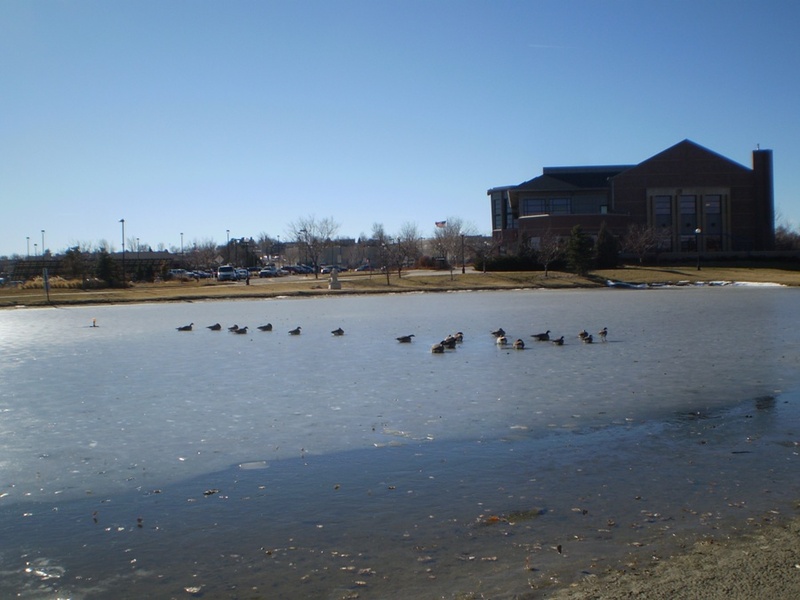 If it doesn’t snow soon, these geese will be able to walk across the pond! We’ve had a few hits and misses this winter, but it’s all been the dry variety that falls and disappears almost as soon as it lands on the ground. Our snowfall New Year’s Day was for decorative purposes only. Today we have 55 degree temperatures with 55 mph wind gusts! It is January 3! Go figure! 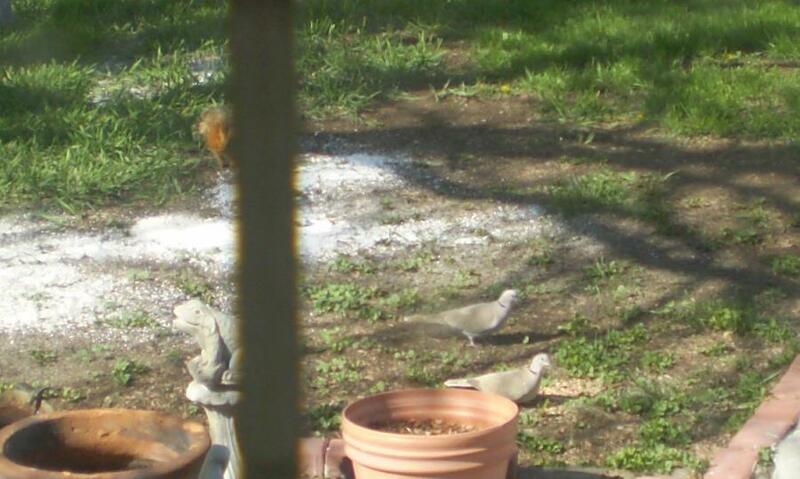 The other day, I looked out my back door in time to see one of my little Eurasian-collared doves on the high-wire! This photo was taken of the parents one or two summers ago while they were sampling seed in our back yard. They’ve been visiting our yard for several years now–long enough to have earned the names Wild Bill and Calamity Jane! And they have raised several families. I suppose I dubbed them that because they sometimes take matters into their own hands! I also suppose the little bird I saw the other day was one of the “little ones.” They were back early last year–but not this early! Maybe they know something we haven’t figured out about the prospects of an early spring. Meanwhile, back on the ice, my group of believers still faced the wind, hoping it is strong enough and warm enough to melt the thick blanket beneath them. If they can’t do it with their feathered bodies, then the wind will have to help them out. On the other hand, I decided, perhaps the wind is signaling the arrival of snow, which is scheduled in the forecast for tomorrow! 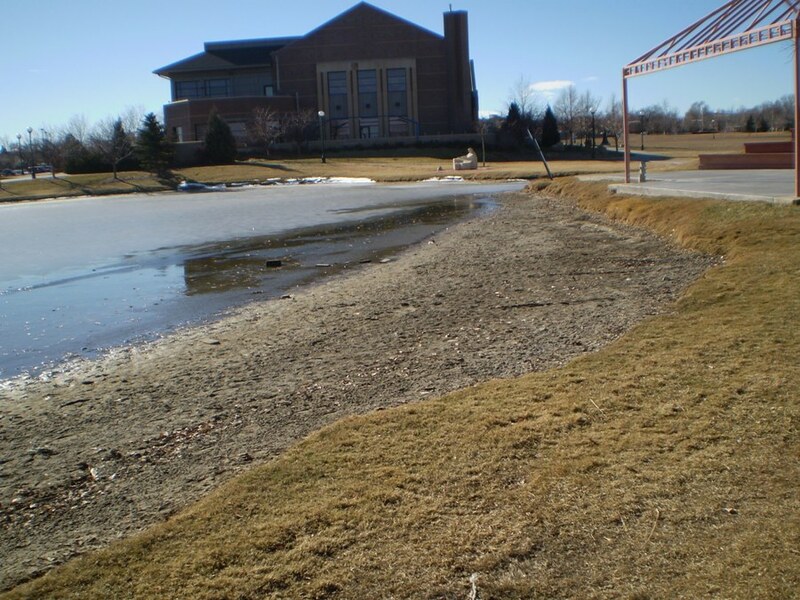 If we don’t get measurable snow soon–a snow that lasts on the ground for a while–then our flower beds are all going to be toast! 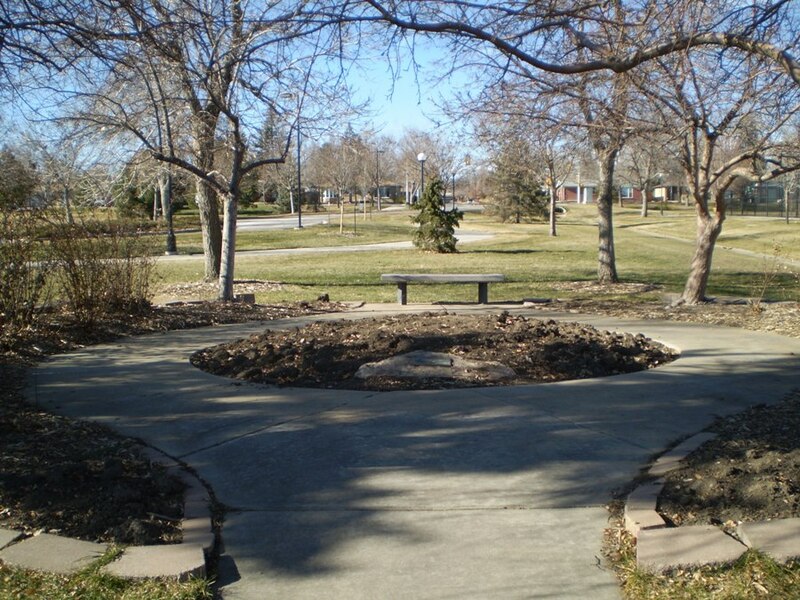 Bracing my body against the wind, I struggled past the tennis courts and grasped a street light while pressing the button for “Walk.” I wanted to go home–not to Kansas! 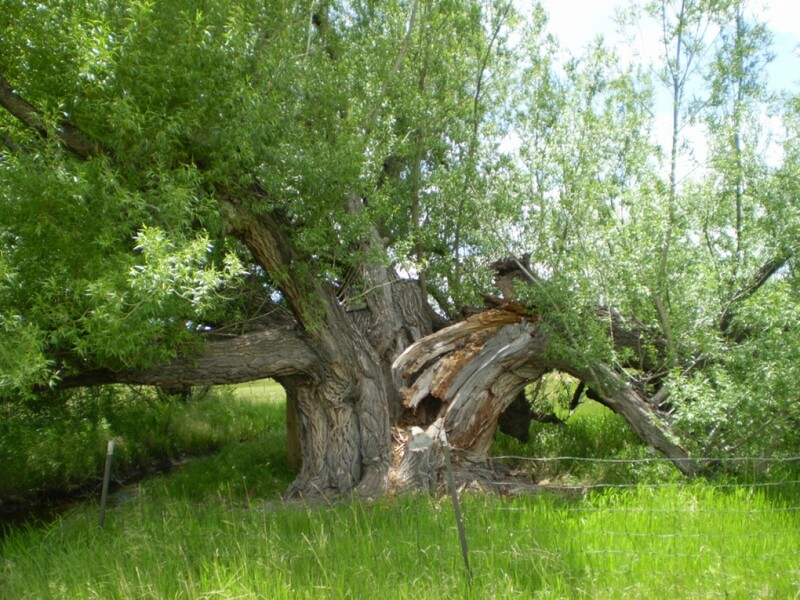 Then forcing my body forward, I struggled across the street–my progress greatly slowed by gusts of wind. 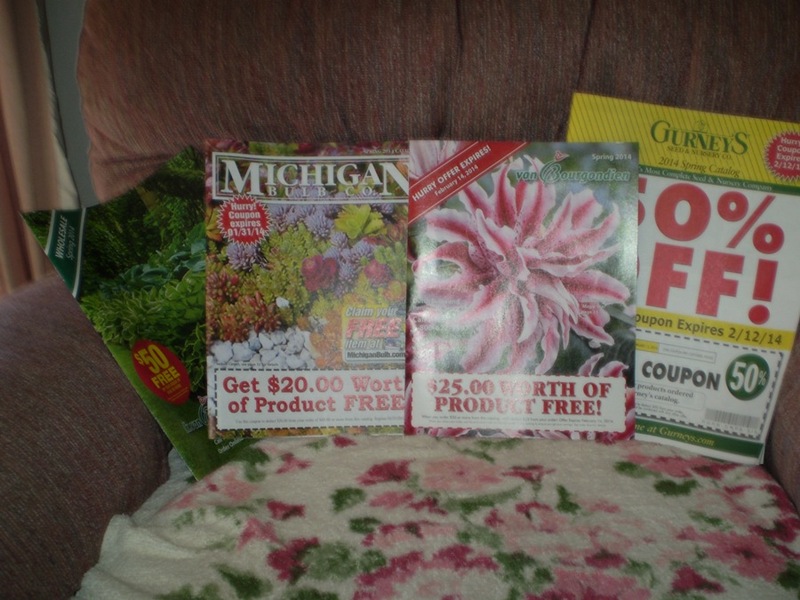 I fought to turn up our block and when I finally reached the porch–what did I discover in my mail box?